What Happens If We Don't Save the Bees in Time? Bee colony collapse disorder kills worker honeybees that have left the hive to search for food. They simply don't come back. Between 1947 and 2005, the number of honeybees in the United States declined by over 40 percent, from 5.9 million to 2.4 million. A third of the bees die during the winter months. That's almost double the typical rate of a 15 to 20 percent decline in a healthy colony. The crisis is escalating. In April 2016, researchers reported that honeybee keepers lost 44 percent of their colonies in the prior 12 months. That's up from 42.1 percent in 2015 and 39 percent in 2014. 2015 was the first time in history that keepers lost more bees during the summer than in the winter. If colony collapse disorder continues at the current rate, managed honeybees will disappear by 2035. They will be once of the casualties of the sixth mass extinction that is underway. The problem began in the 1980s. That's when two bloodsucking parasitic mites entered the United States. But many scientists believe that insecticides had already weakened the bees' immune system. The Western honeybee is the world's premier managed pollinator species. Demand for its services has soared from fruit, nut, and vegetable growers. Among nut producers, almond growers have the highest need for bee pollination. The demand represents almost 100 crop species, making up one-third of the average diet. Bee pollination is worth $15 billion to the U.S. farming industry. Disruption of the honeybee supply raised prices for domestically grown nuts, fruits, and vegetables. In California, it tripled pollination fees. Beekeepers charged almond growers $51.99 per hive in 2003. By 2009 that rose to $157.03 a hive. By 2016, that fee increased to prices between $180 to $200 a hive. Over the last six years, the bee industry spent $2 billion to replace 10 million hives. That's for an industry that makes $500 million a year. These high costs force beekeepers to charge more to replace hives when they collapse. Higher fees cost almond growers an extra $83 million a year. They pass those costs on as higher prices. Colony collapse disorder also affects the beef and dairy industries. Bees pollinate clover, hay, and other forage crops. As they die off, it raises the cost of feedstock. That increases beef and milk prices at the grocery store. The Disorder will lead to increased imports of produce from foreign countries where it doesn't exist. That will raise the U.S. trade deficit. Colony collapse disorder was recognized as a serious threat in 2006. Scientists suspected viruses, pesticides, and fungicides made the bees vulnerable to the mites. In January 2013, the European Food Safety Authority reported that three neonicotinoid class insecticides weakened the bees' immune system. These chemicals are clothianidin, imidacloprid, and thiamethoxam. A 2018 study found that bees even become addicted to nicotine-based pesticides. Neonicotinoid insecticides are used in America's corn crop. That's despite protests from Beyond Pesticides, the Pesticide Action Network North America, and the Center for Food Safety. These groups argued for years that the pesticides are responsible for bee colony collapse. They also negatively impact many birds and other wildlife. In September 2018, University of Texas researchers found that a popular weedkiller is another factor. Honeybees exposed to glyphosate, the active ingredient in Roundup, lose some of the beneficial bacteria in their guts. That makes them more susceptible to infection and death. The bees pick up the chemicals through dust and residue on nectar and pollen. They bring the poison back to the hive. That weakens their immune system. As a result, they are more susceptible to the parasites. The bees don't die in their hives. Instead, they fly off to die alone. That makes it difficult to collect enough bee carcasses to study. But researchers at the University of Maryland found conclusive evidence. It fed pollen filled with fungicides and insecticides to healthy bees. They became more susceptible to the Nosema ceranae parasite. Beekeepers are coping by breeding more bees. They divide the hives in the spring and summer. This forces the bees to create more queens. That's only a stopgap measure. Some farmers are experimenting with other types of bees. They are cultivating blue orchard bees, bumblebees, and alfalfa leafcutter bees. These bees are more expensive. In May 2015, President Obama's Bee and Pollinator Task Force reported the results of a yearlong study. 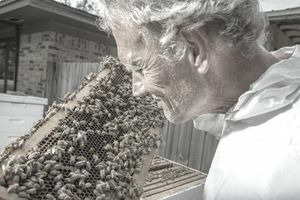 Its goal was to reduce honeybee colony losses during winter to 15 percent within a decade. It will also increase the Monarch butterfly population. A public/private partnership pledged to restore 7 million acres of land for pollinators over five years. That includes forests burned by wildfires, office landscaping, and maintenance of roadside habitats. The Environmental Protection Agency halted approval of any new use of neonicotinoid pesticides. It prohibits these pesticides when crops are in bloom and bees are present. It is also reevaluating the use of all neonicontinoid pesticides by 2022. On January 10, 2017, the U.S. Fish and Wildlife Service listed the rusty-patched bumblebee on its endangered species list. In January, 2018, Maryland's ban on neonicotinoids went into effect. Connecticut folllowed suit a week later. On May 27, 2018, the European Union voted to ban these neonicotinoids. The ban will go into force by the end of 2018, except for use in greenhouses. It had already banned their use on flowering plants. It made this decision after research showed insect populations had declined 75 percent in the last 30 years. In 2019 the German state of Bavaria said 20% of must be organic by 2025. It would turn 10% of green spaces in Bavaria into flowering meadows and protect rivers from pesticides and fertilizers. In 2018, Costco sent a letter to suppliers encouraging them to phase out the use of Neonicotinoids. The retailer's buying power is a big incentive to food growers to comply. On August 3, 2018, the Trump administration rescinded the ban on neonicotinoid use in wildlife refuges. More than 4 million pounds of neonicotinoids are applied to between 140 million and 200 million acres of cropland annually. They became popular because they are very effective on insects. But studies show adverse effects on mammals including humans. They have a similar effect as nicotine. They affect the nervous system and may have contributed to nervous system disorders. These include increased risk of autism spectrum disorders, memory loss, and harm to developing fetuses. Neonicotinoids cannot be washed off of food prior to consumption. They are used in 90 percent of corn seeds and 50 percent of soybeans. They have been found in 12 of 19 fruits and vegetables. Neonic insecticides are most prevalent in potatoes, spinach, lettuce, cherries, and cauliflower. They are in up to 31 percent of infant and toddler foods. The pesticides are also in half of North American honey. The only way to protect yourself is to buy organic. The only way to protect the bees is to encourage Congress to ban these pesticides. 3 Ways Countries Increase Exports. Why Isn't America the World's Largest Exporter? What Happens When a Country Can't Pay for Its Imports? Why Does a Big Mac Cost a Lot Less in China?